Julie Anne Wieck is an Associate Professor of Music at Washington State University where she teaches studio voice and directs the opera and musical theatre productions. Dr. Wieck received her Bachelor of Music degree in Music Education at the University of South Dakota-Vermillion. Later she attended the University of Nebraska-Lincoln, where she received a Master of Music degree and a Doctor of Musical Arts degree in Vocal Performance. On the stage, Julie has performed leading roles in Dido and Aeneas, Falstaff, The Telephone, Amahl and the Night Visitors, Street Scene, Naughty Marietta, Susannah, Die Fledermaus and Carousel. She has also appeared as a soloist with several orchestras, performing Bach’s B Minor Mass, Mendelssohn’s Midsummer Night’s Dream, Porgy and Bess, Poulenc’s Gloria, Verdi’s Requiem, Carmen, and Tchaikovsky’s “Letter Scene” from Eugene Onegin. She has traveled internationally, performing in Canada, Russia, Ukraine, Czech Republic, Austria, Hungary and South Korea. Dr. Wieck has recently been researching and performing music by Ukrainian composers after spending her professional leave in Kyiv, Ukraine, collaborating with faculty and students at the Tchaikovsky Conservatory or National Music Academy of Ukraine. Dr. Wieck is an active recitalist, adjudicator and clinician throughout the region and President of the Inland Empire Regional Chapter of the National Association of Teachers of Singing. 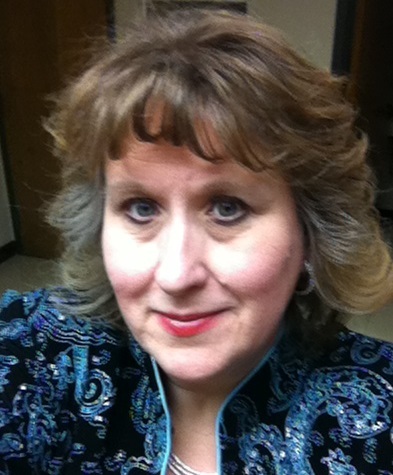 She is also a frequent presenter as a member at National Association for Music Educators Conferences.